We speak with Full-time MBA students about what attracted them to the program, the experiences they’ve had since arriving on campus, and the careers they are looking forward to. We also provide discussions with Scheller faculty to highlight their cutting-edge research and thought leadership, as well as staff to present a detailed picture of what’s happening at The Intersection. 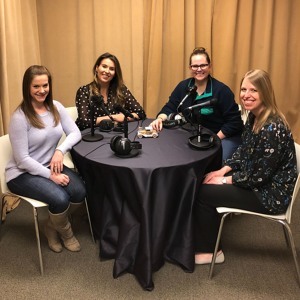 The Intersection sat down with three of Scheller College’s rockstar women MBA candidates in celebration of International Women’s Day 2019. Listen to this episode of The Intersection to find out more about why our guests chose to return to school when they did, what has helped them to understand a different perspective than their own, and what they will be creating next. Poets & Quants recently ranked The Georgia Institute of Technology, Scheller College of Business among their 10 Business Schools To Watch In 2019. 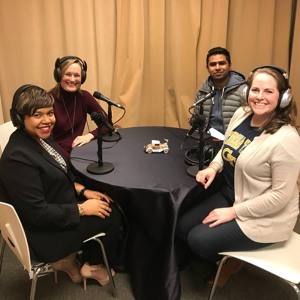 The Intersection sat down with the Jones MBA Career Center’s Lauren Porter, Executive Director of MBA Admissions Katie Lloyd, and 1st Year Full-time MBA Candidate Parv Aggarwal to find out just some of the reasons Scheller is a school to watch. 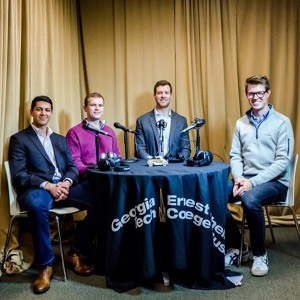 This episode of The Intersection is one of two in our Entrepreneur Series where we talk to two outstanding Executive MBA students about their journeys with entrepreneurism. After Christian White completed 6.5 years as an Army Officer he decided he wanted to transition to civilian life and pursue an MBA, where Georgia Tech was at the top of his list. Christian wanted to transition to Technology and he knew that Scheller, being at the intersection of business and technology, was the right place for him. This episode of The Intersection is the second of two in our Entrepreneur Series where we talk to two outstanding Evening MBA students about their journeys with entrepreneurism. Sawyer Williamson’s father and uncle started Williamson Brothers Bar-BQ in 1990. They came to Atlanta from central Alabama, chose a random exit off of I-75 in Marietta, found a vacant building, leased it, and moved their family to a nearby one-bedroom apartment. Today, Williamson Bros consists of five businesses with a sixth starting this spring. They have three Williamson Brothers Bar-BQ restaurants, a 16000 square foot catering facility, and an FDA approved food manufacturing facility with their products in over 2000 grocery stores and 500 restaurants. On this episode of The Intersection our host, first-year MBA student Jasmine Howard, talks to four of Scheller’s six second year full-time MBA students that interned at Nike this past summer. Steven Kviklys and Christie King spent their summers in Oregon as Graduate Operations Interns. Steven was able to use the tools he learned in his Supply Chain Modeling class including the News Vendor Model to successfully plan Nike’s capacity in their footwear factories for the next season. Christie was tasked with converting the many channels of information Nike had for submitting chargebacks into usable data tables so Nike could easily see what went wrong and where. Ross Smith and Joshua Partridge, both double jackets (both received undergraduate degrees from Georgia Tech and will be completing their graduate degrees next spring), interned closer to Scheller in Memphis, TN at Nike’s largest distribution center worldwide. Josh used what he learned in his Big Data Analytics class to help Nike optimize their labor force, while Ross was helping Nike configure their Warehouse Management System to increase throughput and reduce costs. 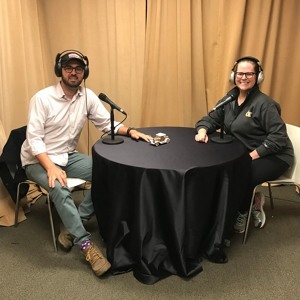 Listen to this episode of The Intersection to hear more about Scheller College of Business’s TI:GER Program, International Practicums, and Career Services as well as to find out more about what our Nike Interns did this summer, who brought home 50 pairs of shoes, and how Scheller helped them succeed. 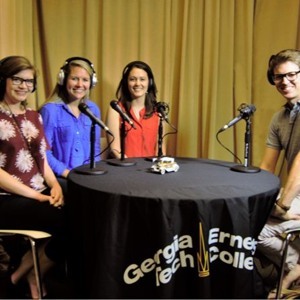 Tune in to this week’s episode to hear from three Scheller students about their experiences at Tech, the process of landing an internship at Delta, what it’s like to work there, and why you should strongly consider Scheller if you’re thinking about getting an MBA. 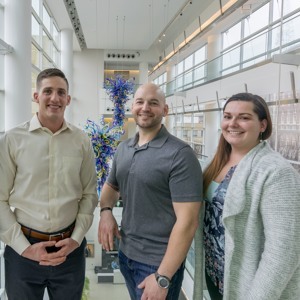 Hear directly from some of the veterans at Scheller why they think others who have served in the military may be the perfect candidates to apply for an MBA from Georgia Tech. 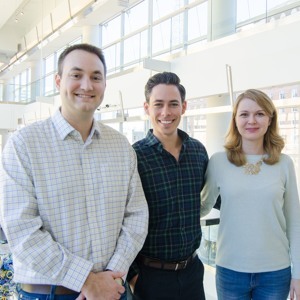 We have full-time MBA students and Veterans Jamie Foss, Samuel Jerome, Lyndy Axon, and host Alex Walsh in the podcast. 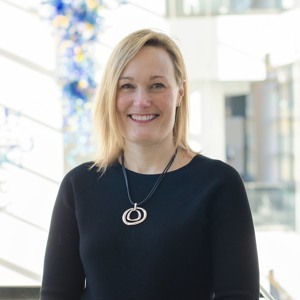 This week’s guest is Katie Lloyd, executive director of MBA Admissions at Scheller, and an extremely approachable person who would be happy to answer your more specific questions about applying. In that vein, Lloyd anticipates some of those questions this week, and makes a case for Scheller designed specifically for those individuals whose mouse cursors are hovering over the “SUBMIT APPLICATION” button. Tune in to this week’s episode to hear from three Scheller students about their experiences at Tech, the process of landing an internship at Deloitte, what it’s like to work there, and why you should strongly consider Scheller if you’re thinking about getting an MBA. If you want to work at Amazon, an MBA from the Scheller College of Business at Georgia Tech can get you there. 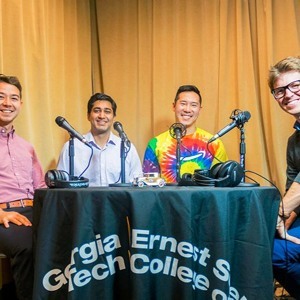 In the latest episode of “Why Scheller?”, a podcast from Scheller’s Full-time MBA program, second year students Declan Nishiyama, Prateek Mittal, and Newton Chan describe how they each landed summer internships with one of the most exciting companies in the modern business world. 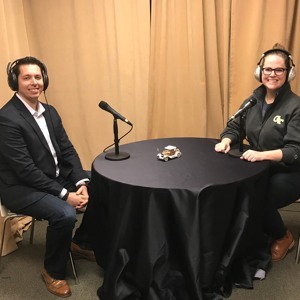 Scheller MBA Student Podcast: Summer interns discuss their experience and why they chose Scheller. 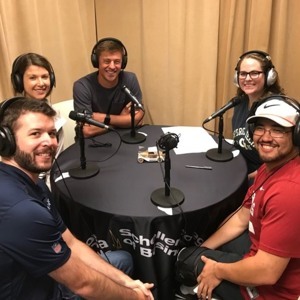 Scheller MBA student podcast #1: Georgia Pacific summer interns discuss their experience and why they chose Scheller.